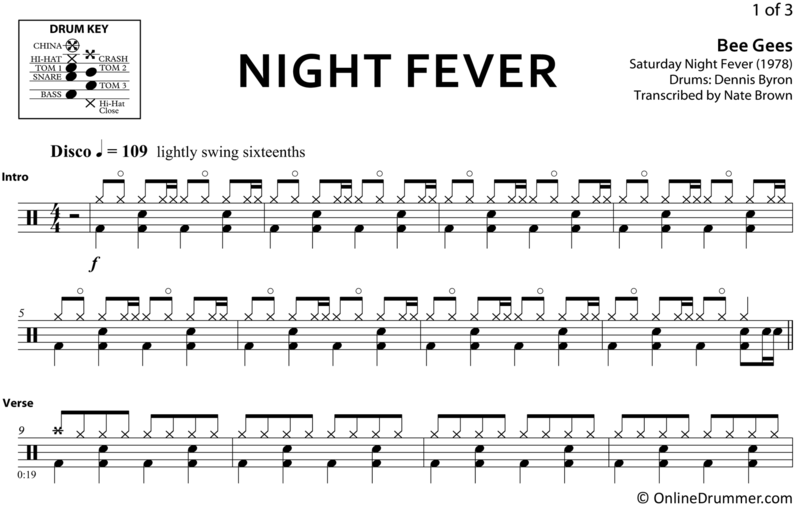 The full drum sheet music for “Night Fever” by Bee Gees from the album Saturday Night Fever (1978). Night Fever is one Spotify’s top ten most-played songs of the 1970s. Being on the hit film Saturday Night Fever’s soundtrack may have contributed to its longevity. 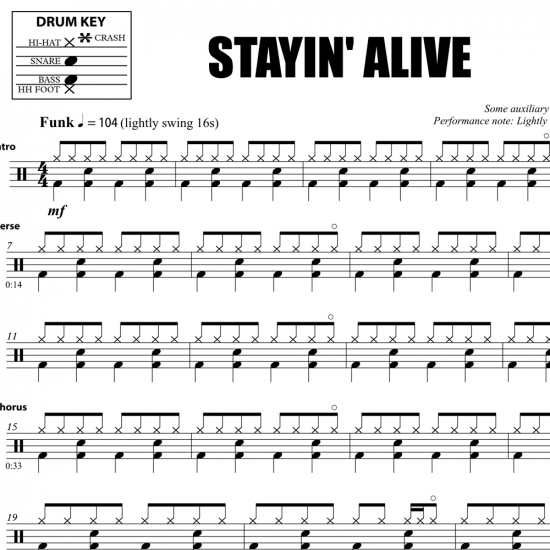 However, all-in-all, this is a great song to learn. Dennis Byron plays a laid back groove with a slick eighth and sixteenth note pattern on the hi-hat throughout the intro and choruses. The open hi-hat and four-on-the-floor brings just enough of the disco flavor we’ve all come to expect and enjoy. 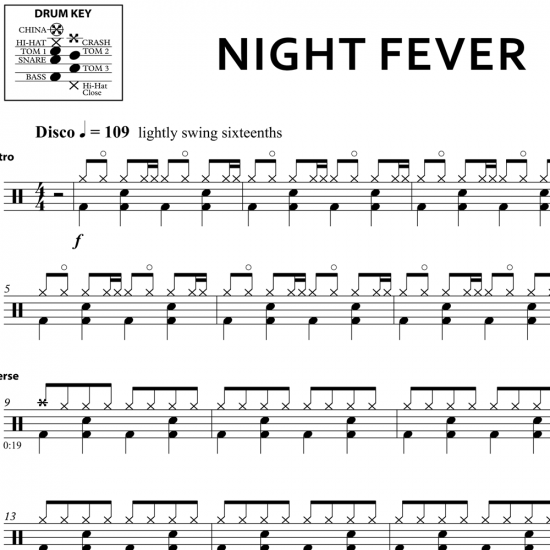 We had access to Byron’s original isolated drum track to aid in transcribing this part. We included the 5 bars at the end that are not heard on the final record as the fade-out cut them off. So, feel free to use the extra bars as a reference for live playing or simply fade out along with the record. 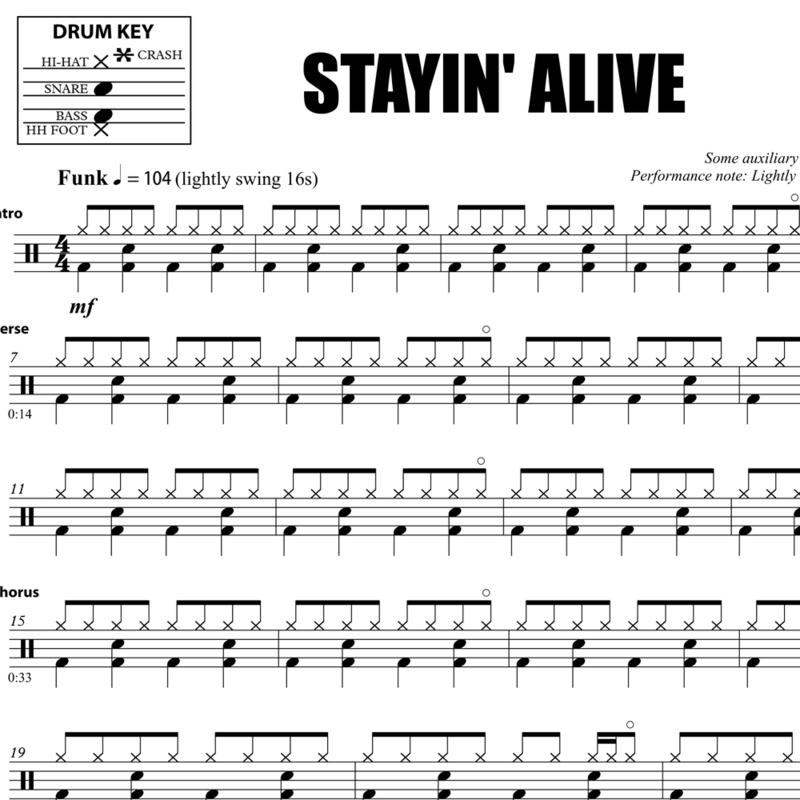 The full drum sheet music for "Stayin' Alive" by Bee Gees from the album Saturday Night Fever (1977).